Are Dog Tracking Chips Worth the Investment? It’s saddening that more than 10 million pets are lost every year, and 90 percent of them end up in the shelter, some are left roaming around the streets, homeless, while some are even euthanized because the owners either have no way of finding them or didn’t make an effort to find them even with the help of dog tracking chips that are available today. But the American Society for the Prevention of Cruelty to Animals (ASPCA) conducted a research study called National Lost and Found Pets and found out that about 93 percent of the reported lost dogs in the last five years have been returned to their owners, and 15 percent of them were found thanks to the dog tracking chips and other tools that were installed or attached to the dog’s collar. The data above only proves that losing a dog is a likely scenario, and owners need to be responsible and prepared enough in case unfortunate event like this happens. Thankfully, dog tracking technology is now available. Pet owners can now use dog tracking chips and GPS to locate their pets. Many pet owners don’t think this is a serious problem, which is probably because of their lack of awareness or misinformation about the issue. Having said that, we will provide answers to the most frequently asked questions of pet owners about the proper dog tracking and identification. We now live in the twenty-first century where almost everybody is using location tracking apps and identification systems. Most of us are familiar with what a GPS navigation is for. We have it inbuilt in our smartphones or smart wristwatch, but sometimes, we fail to notice that it’s there, that through it, almost all Web-based applications on our phone know our every move. So it’s a little bemusing why many of us have not yet applied the same method when it comes to dog tracking. Many have the common misconception that the dog tracking chips implanted by the vet on your pet’s skin are the same GPS microchip in the device used for locating a lost dog. In fact, the two are different. Though both are being used by pet owners to secure their dogs, each has different set of benefits and drawbacks. Dog tracking chips are very tiny integrated circuits, as small as a grain of rice, that are embedded under the skin of the animal. It uses passive radio frequency identification (RFID) technology. It doesn’t have battery, nor does it transmit signal continuously. It contains all information about the animal, such as the unique ID of the chip, breed, description, vaccination schedule, owner’s name and contact details, and the vet’s contact details—but all of these can only be read by a special scanner. This means that a lost dog implanted with a microchip can only be reunited with its owner if brought to a shelter or to the proper authorities. GPS microchips, on the other hand, are larger devices, almost the same size as a matchbox. It has an internal battery and uses global positioning system (GPS) to transmit location information, just like how the car’s GPS system works. It doesn’t have to be inserted under a dog’s skin because it’s wearable. It can be inserted in the dog’s collar. The GPS microchip gives out the dog’s exact location through SMS or e-mail alerts. Some modern GPS devices provide additional alert information such as extreme temperatures, health status, etc. After reading all the information above, you are probably asking which technology is the best for dog tracking, the microchip implantation or the GPS tracking device. If you live in a country that requires microchip implantation on pets, then it’s likely that your furry friends are already equipped with dog tracking chips. If that’s the case, then what’s left for you is to decide whether additional layer of security is needed or you’re content of what you currently have. But if your pets have no dog tracking chips yet, then it won’t harm if you put one on your beloved dog, regardless if you want an external GPS chip for your pet. Though each works differently, both are helpful in keeping your dog safe. A combination of the two is better. You have no means of knowing where your pet is, you will have to wait for a good Samaritan to call and inform you its location. Not all animal shelters are equipped with microchip scanner. There is no standardized microchip data encoding. If you travel abroad, there’s a chance that your pet’s implanted microchip is not readable in other countries. The advantage of using pet tracking is that the device small and lightweight enough to be attached to a dog’s collar. 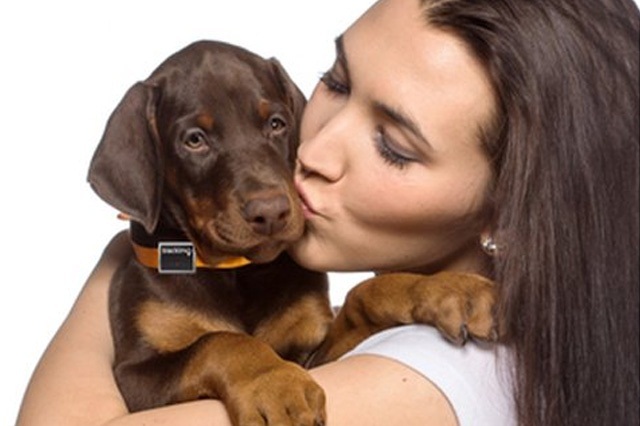 It transmits the dog’s real-time location information to any smartphone. Using a specific app, the dog’s exact location will be displayed on a map along with the direction on how to get there. As long as your pet is wearing a pet tracking device, you can monitor its location at any given time. You can even prevent losing your dog using the device through its geo-fence feature. This function allows pet owners to set virtual fence on the map and they will be alerted once their dog enters or exits the specified area. If not fastened securely around the dog’s neck, the device may fall off; or if the dog is stolen, it can be removed. Battery powered—if the device runs out of battery, you won’t be able to track your dog anymore. Some GPS devices only work where there is ample network coverage. Many pet owners are reluctant to let their beloved pet be implanted with the microchip ID. Some believe that the procedure is unsafe, while others are concerned about the potential side effects that it may bring to their four-legged friend. Microchip implantation only looks scary probably because of the word “implantation,” but actually, the procedure is almost just like getting your dog a simple vaccine injection except that the needle to be used is a little bigger (the microchip ID implant is the size of a grain of rice and needs a special syringe). Like any other medical procedure, there is a possible health risk such as hemorrhage, chip migration, and infection. But the side effects mentioned are very rare. 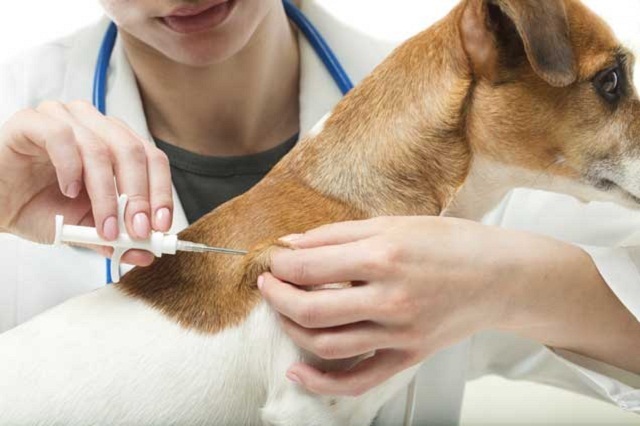 This can be avoided if microchip implantation is done by a licensed vet. Make sure that your vet is a qualified one. Complications develop if the procedure is not done properly. 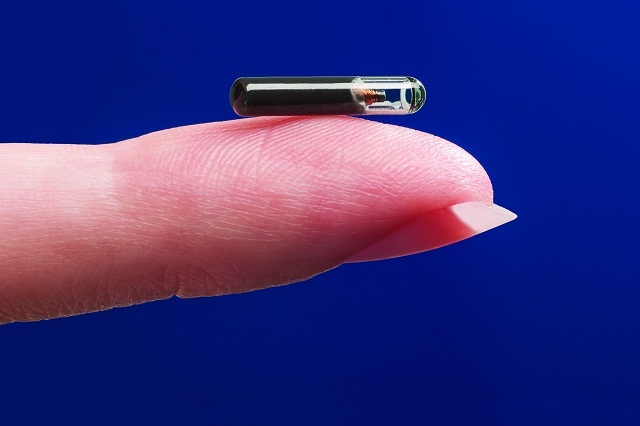 Microchip implants use radio frequency. Find out what frequency the nearest animal shelter is using or look for a universal microchip so if the time comes your dog needs to be scanned, the scanner is able to read the information inside the chip. If you’re planning to travel internationally with your pet, check out first the microchip system your destination country is using, find out if it’s compatible with what your dog has. In European countries, they usually use various microchip frequencies and implant them in different parts of the dog’s body. When buying a GPS tracker for your dog, it should have the proper size and weight, especially if you own a smaller dog. The device should not be bulky so as not to limit your dog’s movement. It should also be sturdy and hit-resistant. Your GPS device must have a long-lasting battery life. 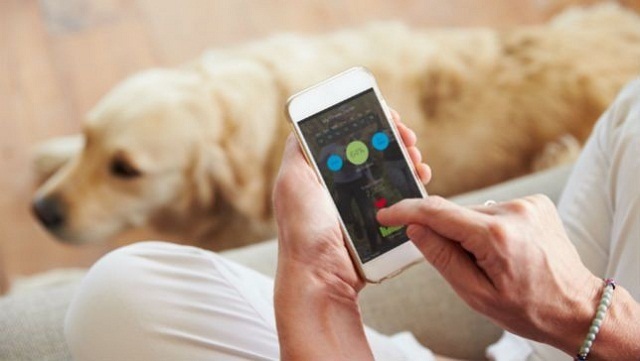 The device’s ability to determine your dog’s exact location depends on its battery life. But sometimes, battery life also depends on how the owner uses the device. Frequent checking of location can drain the battery faster. Adjust your settings so the device will only “check in” every 15 minutes and not every 5 minutes. The technology used for dog tracking varies. Some use dog tracking chips, while other devices use radio technology. These are the ones that only response rapidly when you are close. So the disadvantage of this kind of tracker is that you have to be within a certain range so that you can locate the position of your dog. But the latest tracking devices utilize GPS technology, which is better than the previous type of tracker in terms of accuracy, particularly the wide area augmentation system GPS (WAAS-GPS). But then again, the device won’t work properly if it’s in the areas with obstructed view of the sky, since most of the devices rely on cell phone network coverage. Though there are GPS tracking devices that do not depend on cell phone network coverage, they are more expensive but far better in terms of transmitting location information from the GPS chip on the dog’s collar to your smartphone. Aside from its tracking capability, many trackers also offer extra features such as SMS and e-mail alert, integrated maps and directions, activity levels monitoring, extreme conditions alerts, weather alerts, health status reporting, activity history, and some more. Carefully assess if all these additional features are necessary or not because it can add up to the overall cost of the device, not including the monthly subscription fee. Look for a reliable GPS provider, those that are already established in the industry, because if you choose an unknown manufacturer, if the company goes out of business, you’ll end up losing a lot of money as the device will just become useless. Most dogs like running around, playing, or exploring new places. Unfortunately, these things could get them in trouble—they can either be lost or stolen. Even the trained dogs can become disoriented and be lost. Even when they are safe at home, if you accidentally leave the door or gate open, your dog may run out to the street and get lost or stolen. And once they are out on the highway, they are alone and helpless. 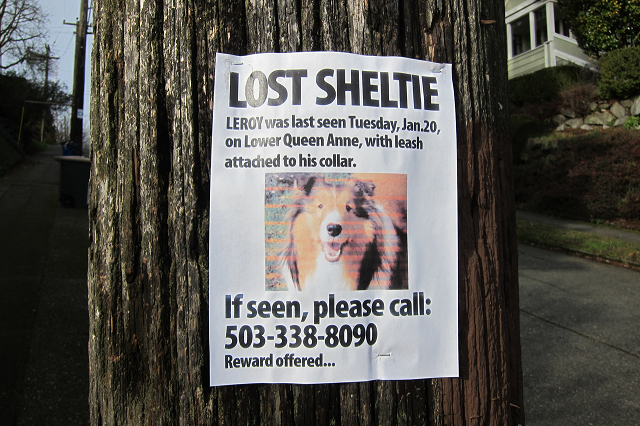 As a pet owner, you have the responsibility to find your dog. Good thing we have new technology for dog tracking that can help us identify and track our pets. Dog tracking chips work hand in hand with GPS chip devices that can now be fastened to the dog’s collar, which allows you to track the real-time location and recover your pet immediately when lost. The microchip implant can also save your dog from being euthanized once it’s brought to the shelter and microchip is discovered. There is a wide variety of GPS trackers available, you can find them in selected stores and even online. Dog owners can choose the device for dog tracking that fits their budget and needs. Though getting a pet device cannot guarantee the safety of your pet, it will greatly lower the risk of losing them. Plus the GPS tracking device and the microchip technology can improve the chance of your beloved pet being returned to you safely in case it gets lost.